ICRA, the robotics community's premiere annual academic conference was held in the Saint Paul, May 14-18, 2012. The theme was Robots and Automation: Innovation for Tomorrow's Needs. "Robotics and automation are at the crossroads of new developments in algorithms, hardware, and software that pave new routes in technological innovation." The meeting attracted anunexpected number of people (as it happens year-by-year), but the organization went very smoothly. An exciting new service was the video recording of all talks, that are made available to IEEE members. A highly recommended is Prof. Nelson's talk on the micro- and nanorobots they have developed at ETH. 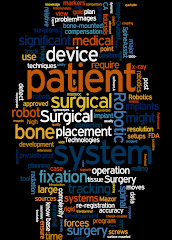 A clearly noticable trend is the advancement of medical topic within the robotic domain. There were two sessions on Minimally invasive interventions, two on Medical robotics, one on Image-guided interventions, on Haptics, a separate one on Needle steering and on Rehabilitation robotics. Just as before, the core sessions were accompanied by a good number of workshops, out of which the EuroSurge one has already been covered here. Besides, there was the Pathways to Clinical Needle Steering workshop, and we developed some interest in Robotic Satelliet Servicing, via the Hopkins group. Also worth mentioning, Best Medical Robotics Paper award went to Andrew Goslin et al., “Metal MEMS Tools for Beating-heart Tissue Removal”. Congratulations! The full digest is available here. Stats from the organizers: "836 papers and videos out of 2067 submissions (apx. 40% acceptance ratio) were presented. 1735 registrants from over 45 different countries attended the conference (apx. 52% from North America, 24% from Europe and 18% from Asia). ICRA 2012 had a number of innovations including the use of iAuthenticate, a Program Smartphone app, video-recording of technical talks, and USB-drive Digest with PDF papers and videos. ICRA 2012 reduced the number of parallel tracks from recent years to only 10 (9 orals + 1 interactive). The net effect was a well-received and high-quality technical conference. For a chronology of events leading to the conference, click here."